That slogan – a fact, really – was reinforced at a talk at the Center for Architecture early Thursday morning. 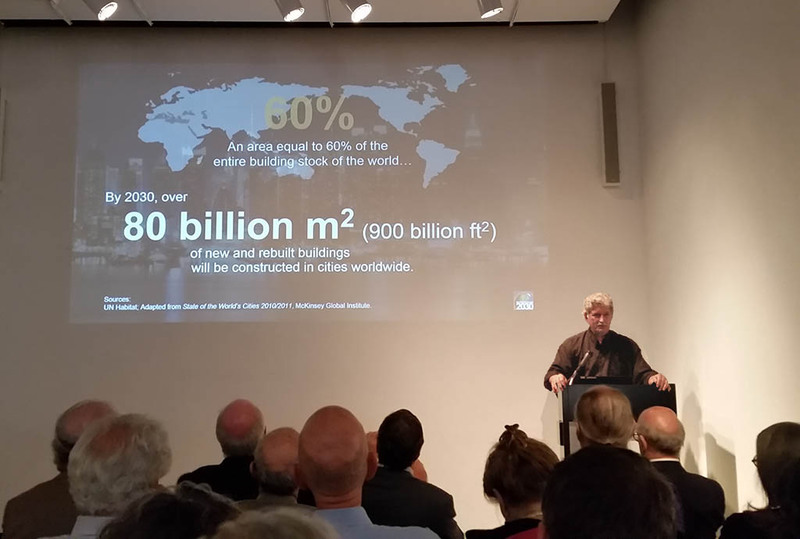 The speaker was Edward Mazria, founder of Architecture 2030. Mazria has been in the ecodesign world longer than almost anyone around. In my book, Sustainable Design: A Critical Guide, I called him “a green architect before such a term existed.” (He’d probably hate that description.) He came to prominence when, in 2003, he crunched some energy numbers and determined that buildings – and hence architects – were responsible for a much larger percentage of total energy consumption than anyone realized. The numbers were published in Metropolis magazine. Susan Szenasy, who moderated Thursday’s talk and is the editor and publisher of Metropolis, said she initially took a lot of flak for placing the blame on architects. But as Mazria pointed out – at one point with a slide that just read “opportunity” in huge type – it also meant architects, along with building owners and others, have the ability to have a huge impact. Mazria observed that architects and planners have done this before when modernism, for all its faults in hindsight, helped bring cities out of the grime of their unhealthy 19th century state. It’s a profoundly EcoOptimistic point that architects can be one of the major forces in achieving the necessary goal of eliminating our production of greenhouse gases. 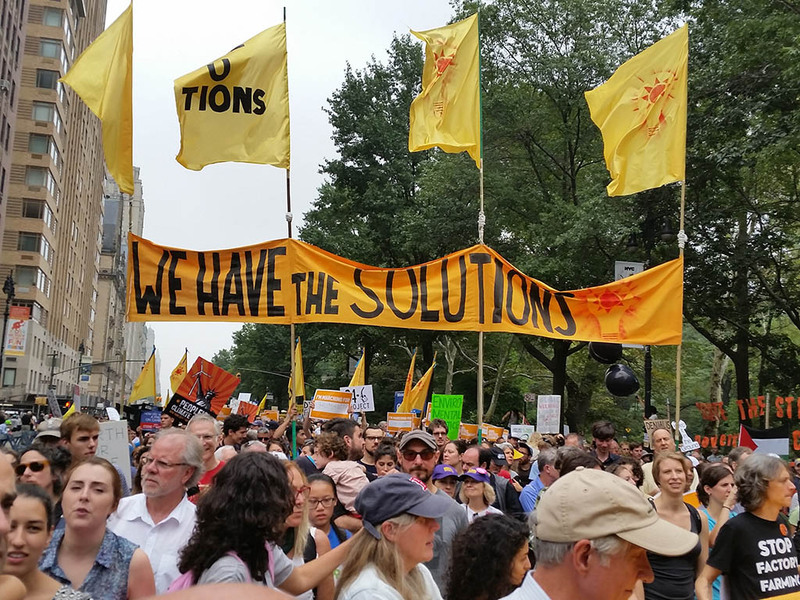 This entry was posted in Architecture, Energy, Messaging, Role of designers and tagged Edward Mazria, People's Climate March, Susan Szenasy on September 26, 2014 by David Bergman.